The historical data is retrieved from Yahoo! for informational purposes only and is not intended for trading purposes, advice, or redistribution. Yahoo! is not liable for any informational errors, incompleteness, or delays. Wintrend does not provide any data on its own and only automates and helps its users to access Yahoo! data for their convenience. 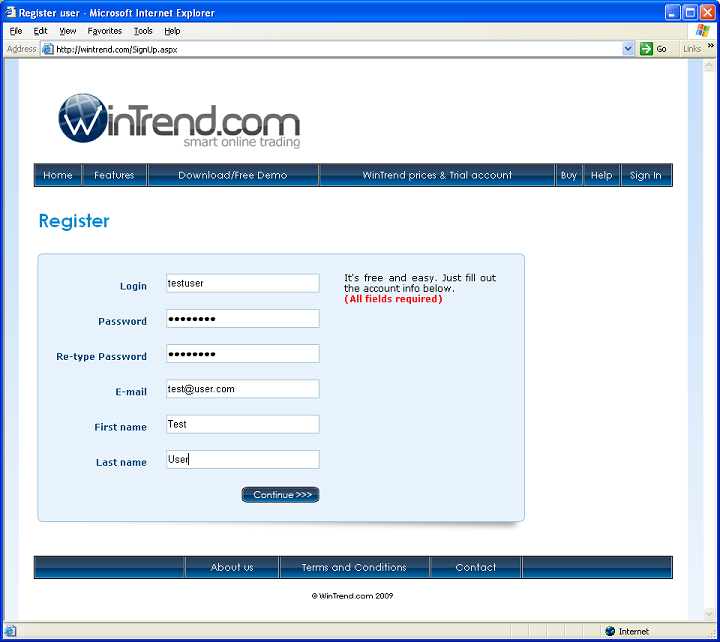 To get FREE service activated you need to reqister on wintrend.com. Click here to open an account. As a final step, please, click on selected link. © WinTrend.com 2009. All rights reserved.